Fashionable abaya with Blue & Black color combination. Crafted from comfortable kashibo fabric, this whimsical niqab drapes like a dream. 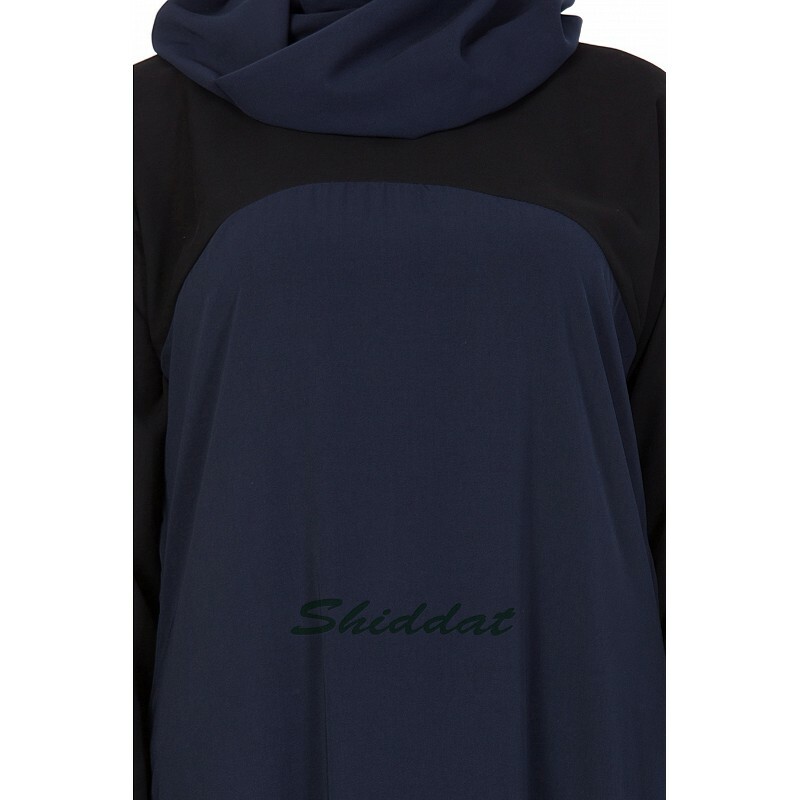 Cut in a loose yet flattering silhouette this simple and sober looking dual colored Islamic dress is perfect for college, office and everyday use. This maxi dress does not include the accessory (hijab) worn by the model.